Sandwiches is the best part. Glad you’re back! Sandwiches or wine, for me. Also YAY you’re back! I could go for a grilled cheese sandwich right about now. you made me happy today, and I haven’t even had a sandwich yet! Never underestimate the value of a good sandwich. Yup that’s about it really. Sometimes I read books while I am waiting. Jumped when I saw you posted. My pie chart would need a section for Law & Order reruns. Life needs less waiting and more sandwiches!!! WOO HOO! It’s great to see new posts on here. My Monday is already better! Welcome back! 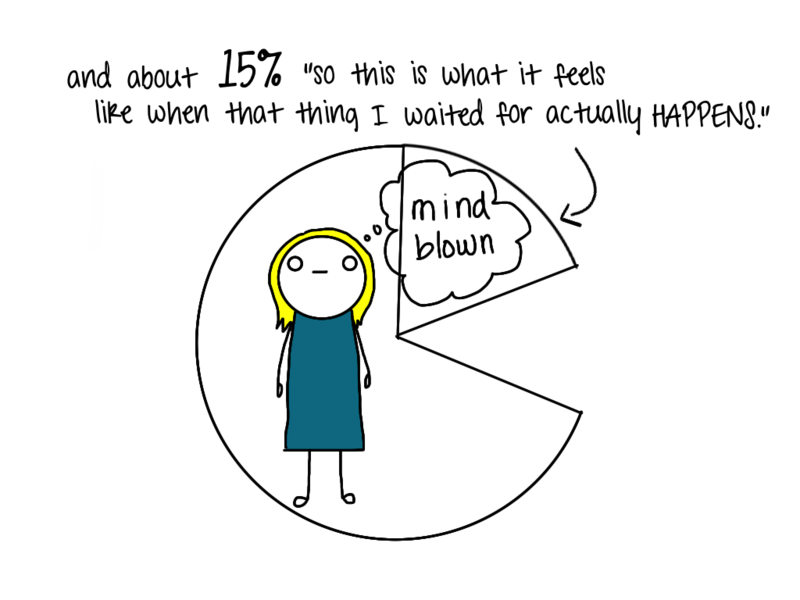 I wish that the 15% wasn’t mostly disappointment that I waited so long for “that”. 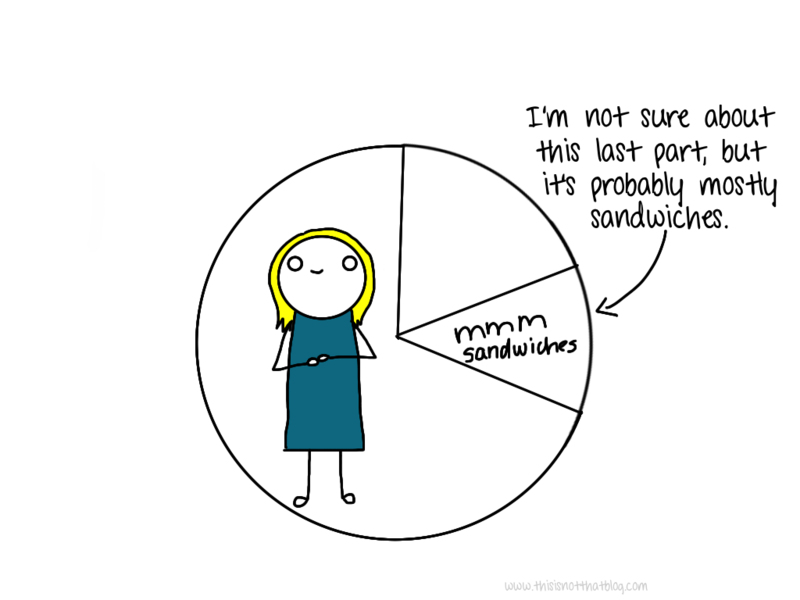 Replace sandwich with cheese and I think you’re on to something! Too funny! I totally feel this way 100% of the time. The sandwiches probably have cheese on them. This is the best thing. Ever. Put up a new cartoon! I live for that 15%. I think in my case it ends up being about 6% though. 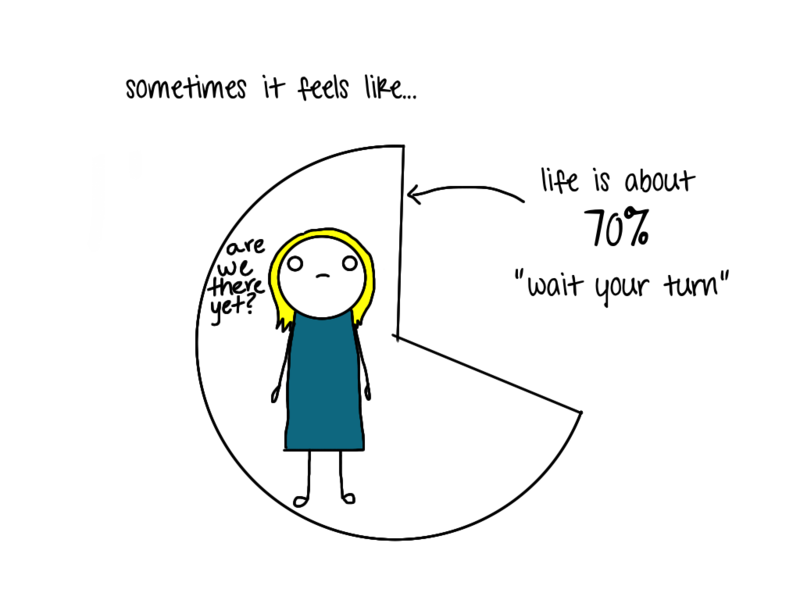 The other 9% is me wishing I could just go take a nap. This is only too true. We all need sandwiches! lol! To cute!